Leading Manufacturer of single stage gas regulator, high pressure gas regulator and double stage gas regulator from Vadodara. 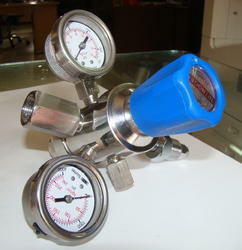 Single Stage Gas Regulator for Nitrogen, Oxygen, Argon, Hydrogen, Ammonia, Carbon Dioxide, Helium etc. 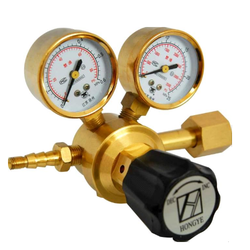 We are offering High Pressure Gas Regulator to the clients. 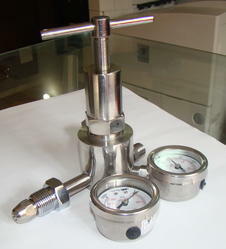 We are offering the Double Sage Gas Regulator.